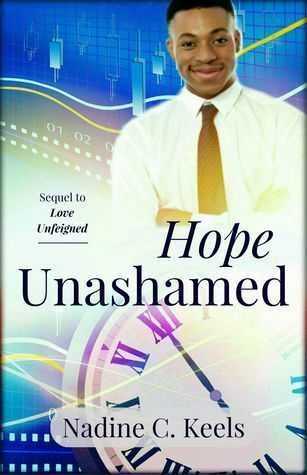 Love Unfeigned and Hope Unashamed are part of the "When It's Time" series, and complement each other. 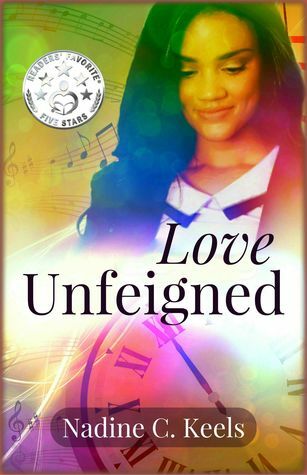 In Love Unfeigned, Lorraine is drawn to Isaiah since childhood, mostly out of friendship. There were hints of something more over the years, but she dated other boys and his parents' breakup caused him to drift away from their family. Lorraine meets him years later, after a traumatic event, and they are left with the choice whether or not to explore what the "something more" could be. In Hope Unashamed, the studious Arthur that Lorraine had dated is the main character. He has a good circle of friends, all as studious as he, but he has his hopes set on romancing Lorraine and eventually getting married. He also has his future set working for a software development company. However, Lorraine isn't as emotionally involved with him as he is with her, so his hopes seem to be destroyed. It takes him a long time to realize that he can rebuild his life and change his plans. I do like how Nadine writes teenagers and their real-world problems and relationships. Love develops over time, as opposed to the sudden realizations, which isn't often written about. The books can be read individually, and are self-contained, but really are best understood as a pair. Both novels have hopeful endings, but we really don't see too far past their epiphanies. I'm not sure if there will be more books in this series that explore this, but that might make the series feel more complete.